White Crane Products owns and operates the website. By visiting or shopping at this web site, you accept the following terms and conditions. Please read them carefully. 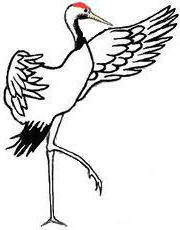 All of its current and future content, including, but not limited to, images, content, illustrations, trademarks, logos and all copyrightable material and any other form of intellectual property is owned by or licensed to White Crane Products and is protected as intellectual property. Unauthorized use, copying, distributing, transmitting, modification, reproduction, republishing, downloading, posting, duplicating, or any other misuse of any of the content for public or commercial purposes without White Crane Products’ express written consent is prohibited. Your access to and use of the Website is also subject to the following terms and conditions and all applicable laws by the state of Washington. By accessing and browsing the Website, you accept, without limitation or qualification, these Terms and Conditions. Do not use this Website if you do not agree with these Terms and Conditions. White Crane Products uses reasonable efforts to include accurate and up to date information in the Website and makes no warranties or representations as to its accuracy and assumes no liability or responsibility for any errors or omissions in the content of the Website. By using this Website, you agree to indemnify, defend and hold White Crane Products and its officers, directors, owners, agents, information providers and licensors harmless from and against any and all claims, liability, losses, costs and expenses (including attorneys' fees and other legal fees) arising from or relating to your violation of these Terms and Conditions or a claim that is based on your use of the Website content. White Crane Products reserves the right to assume the exclusive defense and control of any matter otherwise subject to indemnification by you, and in such case, you agree to cooperate with White Crane Products’ defense of such claim. This agreement shall be governed by, construed and enforced in accordance with the laws of the State of Washington. Any cause of action filed by you with respect to this Website shall be brought only in either the state or Federal Courts located in Snohomish County, WA, and you expressly consent to the jurisdiction of the said courts. These Terms and Conditions may be revised at any time and you are bound by any such revisions and should therefore periodically read the Terms and Conditions for review. Users of martial arts products should consult physicians before beginning an exercise program; train only under the supervision of a qualified instructor. Weapons are sold for training only under instructor supervision, for demonstration of forms, collection, or display. Some weapons may be illegal in your area and user must follow state and local laws. White Crane Products is not responsible for improper or illegal use or modification of its weapons. Weapons training must be practiced in a safe training environment set up to avoid injury to people or objects. To decrease chances of injury, the user should inspect them before each use to insure they are in proper working order. Do not use weapons for sparring or contact without proper instructor supervision. Do not use damaged, modified or improperly fitted equipment. If any unsafe condition is observed, do not use the product. Sparring gear is intended to reduce the risk and severity of accidental injury to protected areas only under the supervision of an instructor trained in light contact martial arts sparring. It is not for other more intense or non-martial arts uses. Students should be physically conditioned and properly instructed in the proper use and the intensity of light contact sparring. All sparring participants should wear complete sets of equipment. Do not use damaged, modified or improperly fitted equipment. If any unsafe condition is observed, do not use the product. By submitting this order, you understand and agree you are of legal age to use the items being ordered and it is legal in your local area to own the items. Weapons will not be sold to anyone under 18 years of age. I understand Martial Arts can be a dangerous sport and could result in injury. I further hold White Crane Products harmless from the use of any item I have purchased. White Crane Products disclaims any and all liability related to improper, illegal, unintended use or modification of items sold through the website. The purchaser or user of the item assumes all risk of injury from any use. White Crane Products is primarily for OSMKKF students in the US northwest and does not carry a large stock “on hand”. If items are not “in stock” you will be notified and they will be ordered from our supplier. Normal shipping time from our supplier is 5-7 days for White Crane Products to receive the item(s). White Crane Products is primarily for OSMKKF students in the US northwest. 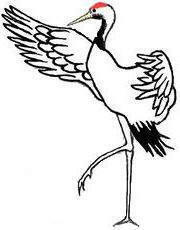 Please contact WhiteCrane@NWBudokan.com for information on returning a product. Returned items may not be used, washed, worn, altered or damaged and must be suitable for resale in the original packaging. You can try items on but, do not wear or use them. Items must be returned within 7 days of receiving and in the original bag or packaging for an even exchange or refund and may be subject to a 15% restocking fee. White Crane Products is primarily for OSMKKF students in the US northwest and smaller items such as uniforms that will fit in a US Mail Priority box will be shipped and should be delivered in 2-3 days. Larger items such as weapons will be delivered by arrangement, but will not be mailed or shipped. Please refer to the “In Stock Policy” above for items that may be out of stock, as they will be shipped as soon as they are received and may take 7-10 days. All content included on this site such as text, graphics, logos, button icons, images, audio clips, digital downloads, data compilations, and software, is the property of White Crane Products unless otherwise noted and protected by United States and international copyright laws. White Crane Products is a reseller and as such makes no warranties of any kind of the products sold through the website. Products sold through this website, include equipment and gear for martial arts and fitness. By buying these products you understand that participation in these activities should be considered moderate to high risk activities. Your participation and purchases are at your own risk and you assume any risk whether or not caused by negligence.